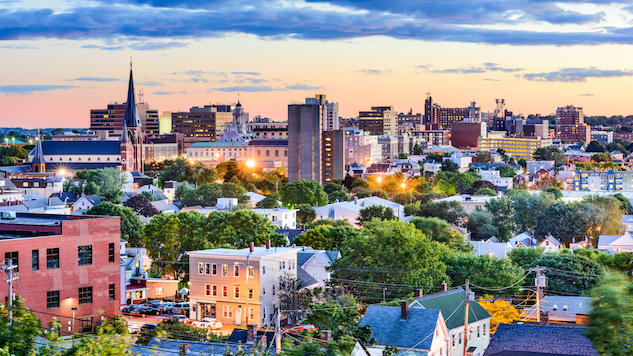 With it’s ever growing collection of breweries and an innovative local food culture, Portland, Maine has become a can’t miss New England city. This coastal locale is a dream for beer enthusiasts, foodies who want more than just lobster rolls, and outdoorsy types. Just a two-hour drive from Boston, Portland makes for a great overnight trip, but you could easily spend a week eating, drinking and exploring your way through this city. Located in The Arts District, the Portland Museum of Art offers a wide range of styles from classic landscapes and seascapes to works by Monet and Picasso. It also features a modern art area in the Charles Shipman Payson building. The museum spent the first few weeks of 2017 getting a facelift and hosted a grand reopening in February. This is a great time to go and explore this refinished space in downtown Portland. A great place to start the trip is the Allagash Brewing Company. Not only is the rotating selection of beers delicious, they may also have some snack options to nosh on, like doughnuts and pizza in the parking lot. But the best thing about Allagash? Upon walking in, you will be handed a wood token to trade in at the bar for a generously sized free—FREE—flight of their beers on tap. The standard Allagash White is reliably delicious, but we’d also recommend one of the heavier stouts, with deep tones of chocolate and coffee. It’s also worth checking out one of the free tours and their store stocked with plenty of limited run selections. Break up your visits to Portland’s many breweries by grabbing some food at Nosh Kitchen Bar. From the creative menu to the low-key feel, Nosh feels like the quintessential Portland spot. There’s a long list of unique burgers, sandwiches and starters to try, but the Big Mac is a must. This next level take on your favorite junior high fast food choice is a delicious bite of nostalgia, upgraded with elements like a special sauce. Top it off with the bacon dusted fries (yes, they are as good as they sound) and grab a can of J.K.’s Scrumpy Hard Cider to wash it all down. To walk off your Big Mac, head to the shops in Old Port. While many consider The Wadsworth-Longfellow House a must, we’re bigger fans of Longfellow Books. Offering new and used selections, this charming shop is everything an independent bookstore should be. And as an added bonus, they sponsor shelter cats who get to make this cozy space their temporary home, all the while meeting lots of customers (aka potential adopters). You’ll have a tough time not scooping up a new pet and book during your visit, because who doesn’t love to cuddle up with a cat and a good book? Visiting Portland in the warmer months? You can’t go wrong with a Portland Sea Dogs game. You may catch a glimpse of a future MLB star for way less dough than you’d shell out at Fenway; current Sox players who came up through the Double-A affiliate of the Boston Red Sox include Mookie Betts, Xander Bogaerts and Clay Buchholz. Next it’s time to pay a visit to Rising Tide Brewery. The taproom at Rising Tide features a large glass wall and garage doors that can open up to the picnic tables and corn hole sets that sit outside when it isn’t too cold out. Food trucks frequent the brewery’s parking lot and a calendar on Rising Tide’s website will show you what trucks will be visiting soon. Their four beer taster boxes are reasonably priced and let you try a few from their large list of beers on tap. Our recommendation is to take home a growler of Pisces—a tart and tasty gose—but you’d be hard pressed to find a bad choice at Rising Tide. You can’t really enjoy Portland without taking a minute to experience the gorgeous coastlines. There are a number of whale watches and island tours to choose from, but to get a view of Maine’s historic lighthouses, hop on Portland Discovery’s lighthouse tour. Including the most photographed lighthouse in Maine, Portland Head Light, this tour gives you a postcard worthy view of the coast. For dessert, head back toward the Old Port shopping district to indulge at Gelato Fiasco. While it may seem odd to go for a cold dessert in Maine, with comforting local flavors like cranberry and wild Maine blueberry, alongside seasonal bites like spiked eggnog, you won’t even notice the temperature. The location of this shop is a bonus; nestled alongside a collection of shops, bars and restaurants, as well as the waterfront, Gelato Fiasco’s induced sugar rush will gear you up for more exploring as you finish your visit to Portland. Daryl Sztuka is a writer, record collector, comic book reader and caffeine drinker living outside Boston.